Depending on where you are in Australia, you can hop on a plane for less than 10 hours and end up in the insanely humid melting pot of culture, colour and cuisine that is Singapore. Both a stopover mecca and holiday destination in its own right, Singapore’s charm draws travellers from across the globe. If you had travelled there in July of 2014 and exchange $2000AUD to Singapore dollars, you would have taken almost $550SGD more than if you exchanged today in April 2019. $550 is the equivalent of a night accommodation in Singapore’s illustrious Marina Bay Sands or 13 Singapore Slings from Raffles Hotel! The AUD to SGD chart below shows movements in the last year alone. 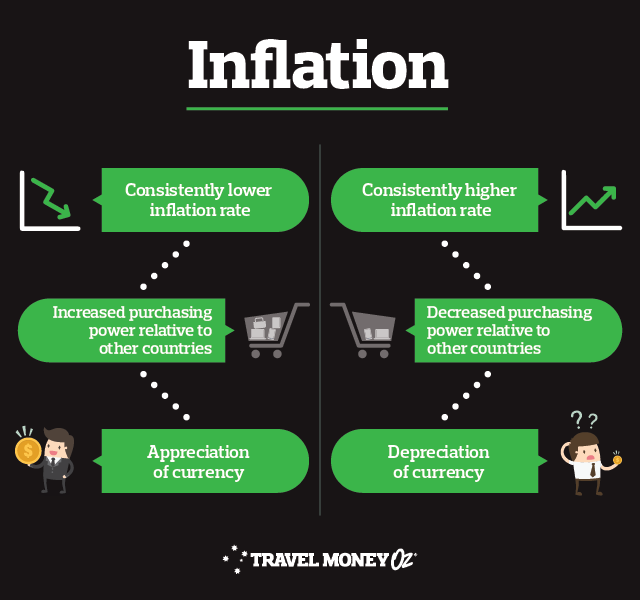 Whilst it’s almost impossible to plan a holiday five years in advance, let alone predict currency movements, this shows how much fluctuating exchange rates can impact your spending money. 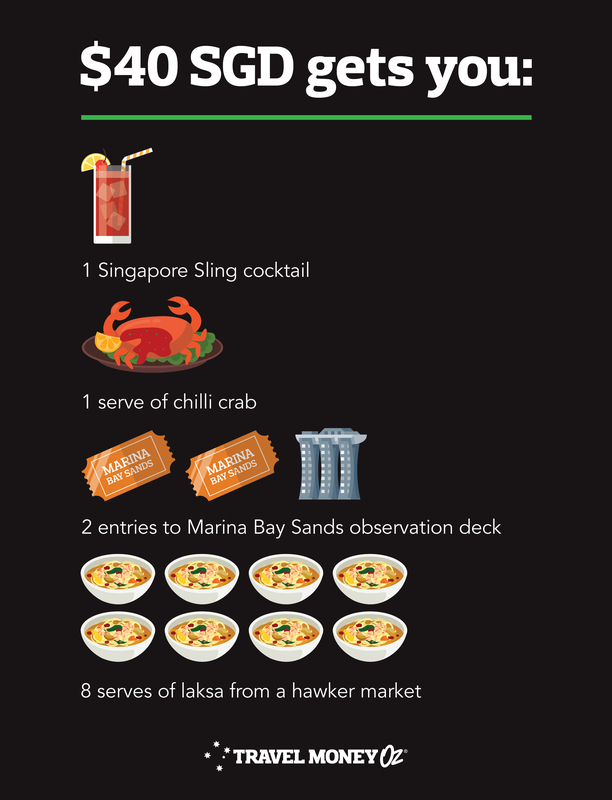 Market movements and the value of the AUD against the SGD can mean the difference between eating at a hawker market for every meal (delicious and affordable) or splashing $40 on a cocktail every night. You can try and maximise your crazy rich Asian status and general travel money by looking at Australian dollar to Singapore dollar forecasts. Most associate exchange rate forecasting with economics degrees, and frazzled men yelling in trading rooms. Whilst this does hold a certain amount of truth, there is a way for you to give AUD to SGD forecasts a crack. 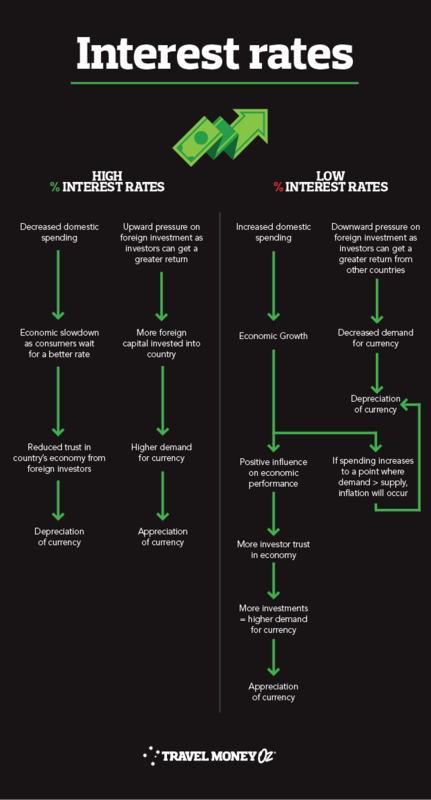 Even if you don’t master it, an understanding of what impacts exchange rate movements will help you get the most bang for your buck. We’ve compiled some forecasts below to give you an idea of what you’re expected to get out of your foreign exchange in the next few months. As you can see, there isn’t a whole lot of movement expected. This doesn’t mean you can’t capitalise on small movements, or that movement won’t happen at all. Let’s take Citigroup’s forecasts as an example. How do they get these forecasts? Financial institutions draw on a wide scope of data sources when completing AUD to SGD predictions. The sheer volume of the data analysed, and the varying number of data streams means no method is foolproof enough for economists to solely rely on. With this in mind, consult a few forecasts to get the most well-rounded view. 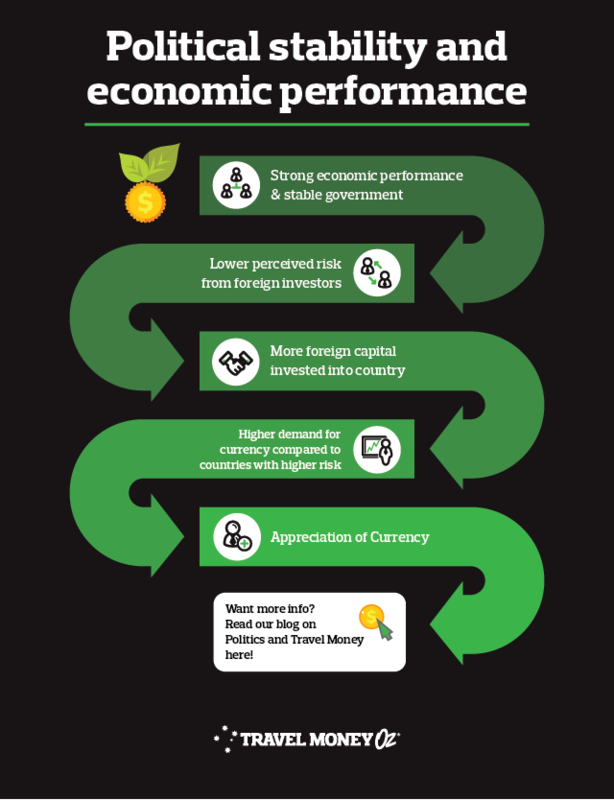 The most traveller friendly way of understanding the metrics behind these predictions is to learn about the relationship between macroeconomic fundamentals and exchange rates. Sounds scary, but we promise it’s not. The following information will have you well on your way to not only impressing your friends at trivia but also ensuring you’re equipped with the knowledge needed to maximise your travel money. Let’s start with a few key definitions. Appreciation: When the value of one currency increases relative to another. E.g. If the AUD went from 0.9077SGD to 0.9211SGD it has appreciated. This means more servings of chilli crab! Depreciation: You guessed it, this is when the value of currency decreases relative to another. E.g. If the AUD went from 0.9211SGD to 0.9077SGD it has depreciated. In other words, you’ll be trading your Singapore Sling for lemonade. Higher valued currency: cheaper imports (no more abandoning that online shopping cart), more expensive exports and extra spending money for your Singapore shopping spree! Lower valued currency: more expensive imports, cheaper exports (think more Ugg boots in Singapore despite the humidity) and less SGD for your adventure. Inflation: The rate at which the general level of prices for goods and services is rising and, in turn, a currency’s purchasing power is falling. In other words, $10 back in the day used to get you a lot more than it does now - over time the value of a currency decreases as a result of supply and demand. 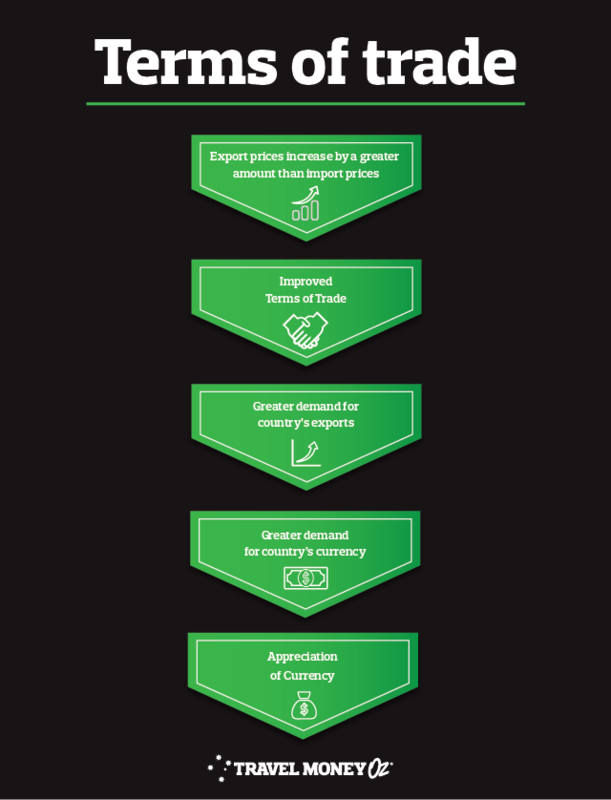 Economic growth: The increase in an economy’s capacity to produce goods and services. Growth is generally good, but we don’t want it to be too fast. Good growth is getting the perfect amount of spice in your Singapore noodles. Bad growth is like choosing a mild dish and actually getting an extra hot serving. Now you’ve got those under your belt, check out these infographics. As you can see, AUD to SGD exchange rates are influenced by a multitude of factors. 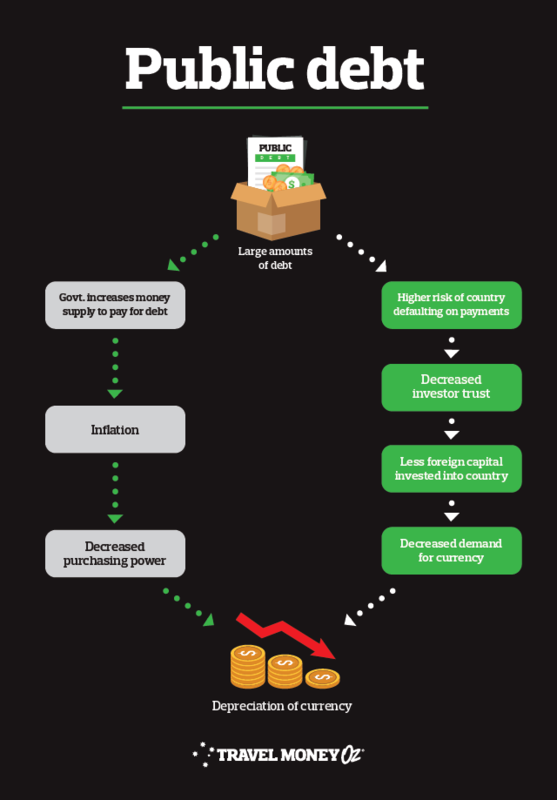 It’s best to just remember that, ultimately, exchange rates sum up the supply and demand of a currency in an easy to understand metric. Actual demand is also highly influenced by the general market perception of the currency’s value. Like most things, this perception is formulated by economics, politics and the media. It is also crucial to remember that changes in one country must be measured against changes in the comparison country. All elements interact and influence each other separately, so they need to be considered holistically in order to get a true understanding of what is going on. From a traveller’s perspective, we don’t have a great deal of control over how the AUD will perform against the Singapore Dollar. However, a little bit of knowledge and pre-planning can leave you with some more spending money in your back pocket. Better yet, sign up for currency alerts and let us do the hard work for you. Don’t stress about missing out on a better rate after purchase either! Attach Rate Guard in store and we will refund you the difference should the rate change within 14 days. *Prices are approximations based of the difference between mean estimates for AUD to SGD in Q1 2019 and Q2 2019. Keep in mind prices may vary across states and individual vendors. Cost and quantity estimations should be used as a guide only.This blog is provided for information only and does not take into consideration your objectives, financial situation or needs. You should consider whether the information and suggestions contained in any blog entry are appropriate for you, having regard to your own objectives, financial situation and needs. While we take reasonable care in providing the blog, we give no warranties or representations that it is complete or accurate, or is appropriate for you. We are not liable for any loss caused, whether due to negligence or otherwise, arising from use of, or reliance on, the information and/or suggestions contained in this blog.